Remi Arts, Inc. is a 501(c)(3) corporation that produces documentaries on the performing and visual arts and the Jewish Experience. For its 20th anniversary in 2017, Remi Arts produced the documentary Regina Resnik: New York Original, streaming on CUNY TV at http://www.cuny.tv/show/cunytvspecial/PR2006636. The film traces Ms. Resnik’s remarkable 70-year career as international opera star, Tony®-nominated actress, stage director, filmmaker and Jewish cultural figure. The program features on-screen interviews with Broadway legends Harold Prince and Joel Grey, opera greats Martina Arroyo and Teresa Stratas, and Maestros Richard Bonynge, Zubin Mehta and Craig Rutenberg. Ms. Arroyo introduces the film on-screen. Renowned mezzo-soprano Denyce Graves is the narrator. Michael Philip Davis wrote, produced and co-directed with Robert Fredette. 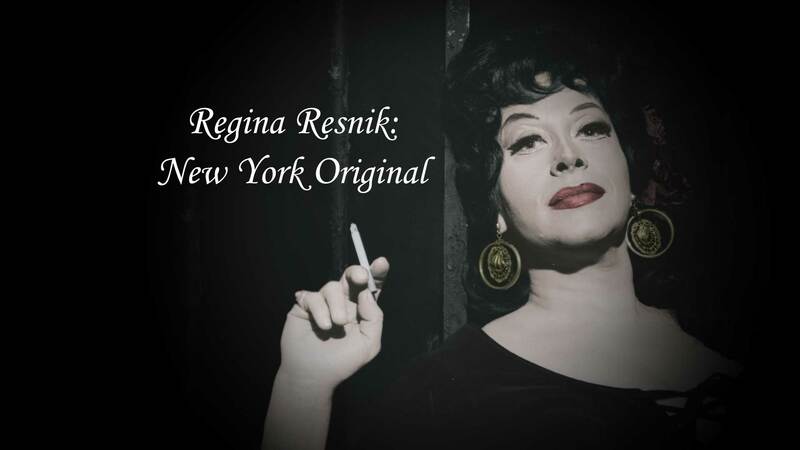 The documentary Regina Resnik: New York Original recently won the Silver Telly Award for Television Biography; the Communicator Award of Excellence in Film / Video-Documentary; and the Communicator Award of Distinction in Film / Video-History / Biography. Earlier this year Regina Resnik: New York Original won Best Documentary at the Los Angeles Independent Film Festival (LAIFF) and as of this writing is a Finalist in the Festival’s ongoing awards program. Regina Resnik and Michael Philip Davis, mother and son, founded Remi Arts, Inc. in 1997. For the next ten years, producing under the title Regina Resnik Presents, Remi Arts developed and performed six different vocal programs from New York to San Francisco, from concert halls to cultural centers to universities. The concerts were directed and narrated by Ms. Resnik, and conceived and written by Mr. Davis, who also performed along with other artists. A highlight of the company's Jewish cultural work was Colors of the Diaspora. A kaleidoscope of Jewish song spanning 900 years, this concert trilogy contained ten first recordings, five world premieres, seven American premieres, and two New York premieres, all narrated by Ms. Resnik on CUNY TV from 2005 to 2011, and later on DVD. In 2013 Remi Arts produced the documentary. Geto: The Historic Jewish Ghetto of Venice. Ms. Resnik and Mr. Davis wrote and produced the film, and Ms. Resnik narrated. Geto attracted more than 43,000 viewers in its first broadcast in 2013 and streamed on WNET/ Thirteen from 2013 to 2018. Since its inception in 1997, Remi Arts' prestigious sponsors have included: The John and Evelyn Kossak Foundation, the Ledler Foundation, The Frederick Loewe Foundation, The Jerome Robbins Foundation Frank Loesser Enterprises and The Frank Loesser Trust, The Baisley Powell Elebash Foundation, and the Liebergesell Foundation. To donate to Remi Arts, Inc., please click here.